Fox News is having a nervous breakdown and is warning Republicans that those evil Paulites are working feverishly to takeover the GOP! Really? Who's fault is it that Mittens supporters are so scarce that they don't even bother to show up at county, district or state conventions? The Romney campaign is so neurotic over the lack of supporters that it's resorted to 'fake slate' fraud (sending in hundreds of Romney supporters, probably paid, masquerading as Paulites). 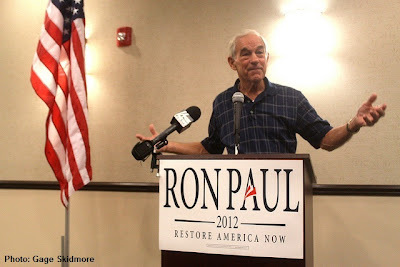 Don't tell Ron Paul the Republican primary is over. He's too busy mucking up Mitt Romney's efforts to accumulate enough convention delegates to officially claim the GOP nomination for president. Paul's supporters won control of state GOP conventions in Maine and Nevada last weekend, stripping Romney of delegates in Maine but graciously letting him keep the ones he won in Nevada's February caucuses. Next up: Republican state conventions in Minnesota, Missouri, Louisiana and Iowa.